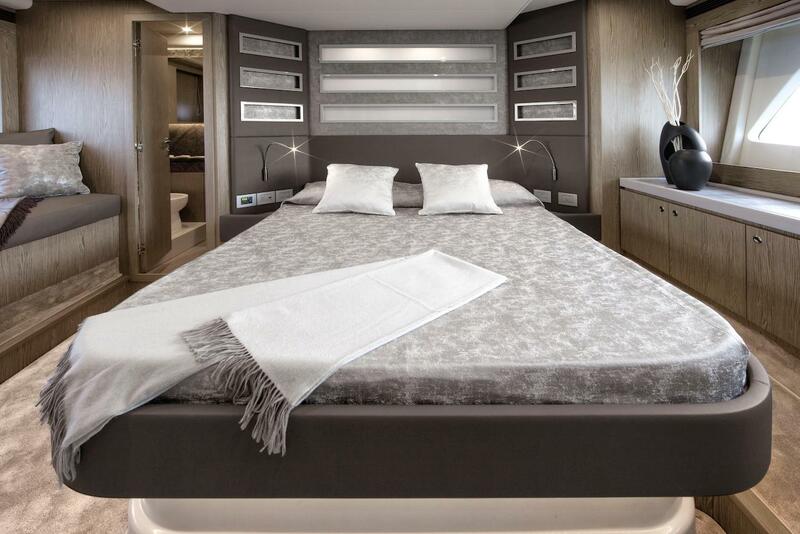 Stylish 19.67m (64' 6") motor yacht CARE ONE is ideal for Mediterranean yacht charters with accommodation for up to six charter guests in three cabins and a crew of 2. 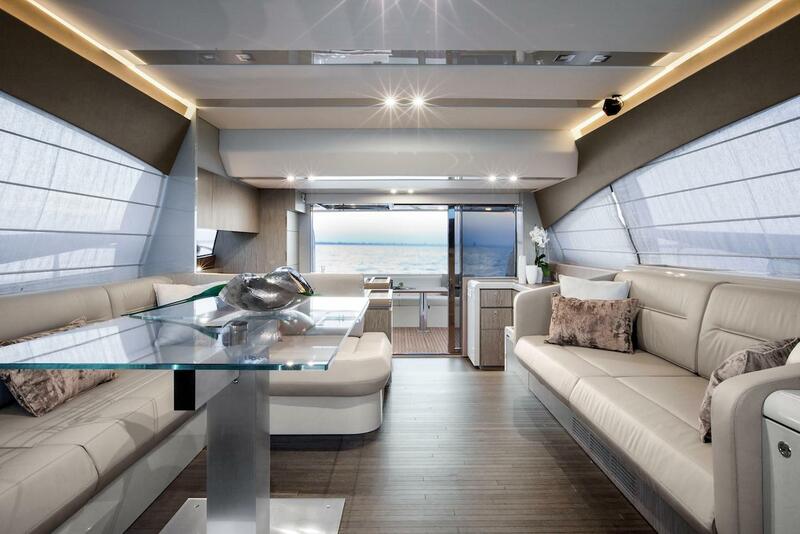 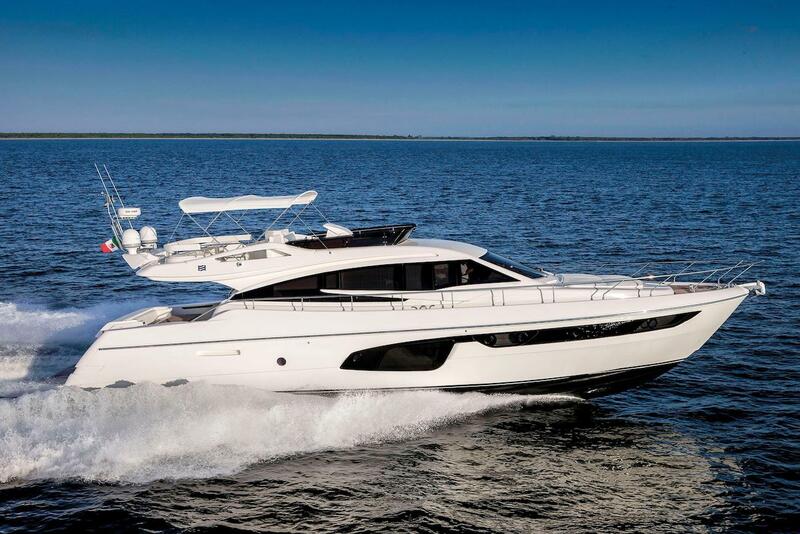 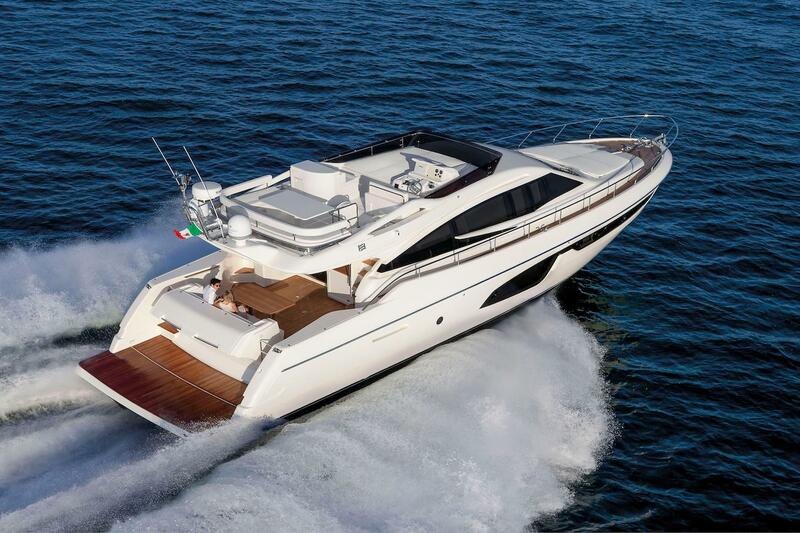 She was built by Ferretti in 2018. 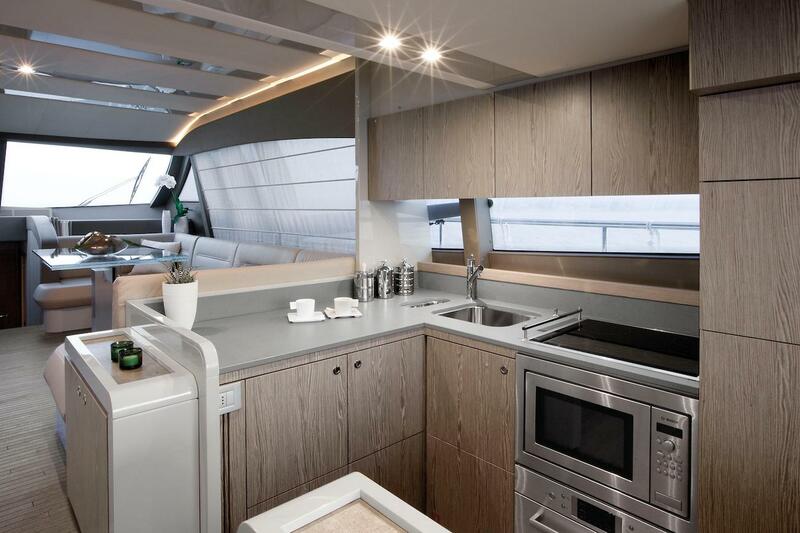 CARE ONE provides excellent spaces to relax and entertain. 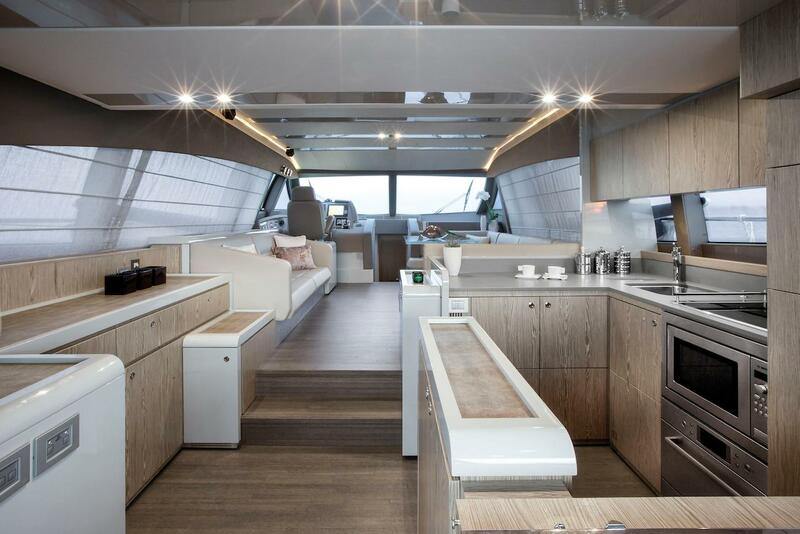 She has a great aft deck with an alfresco dining option as well as a spacious saloon/seating area with a dining table and an adjacent modern galley. 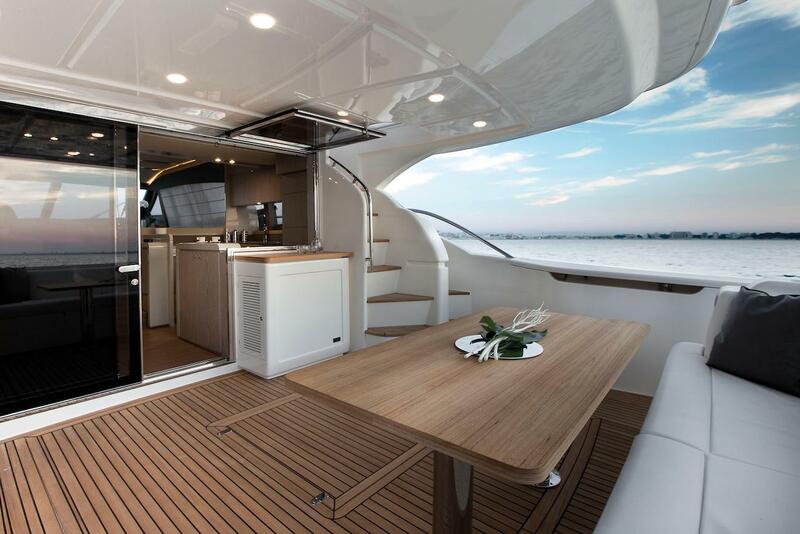 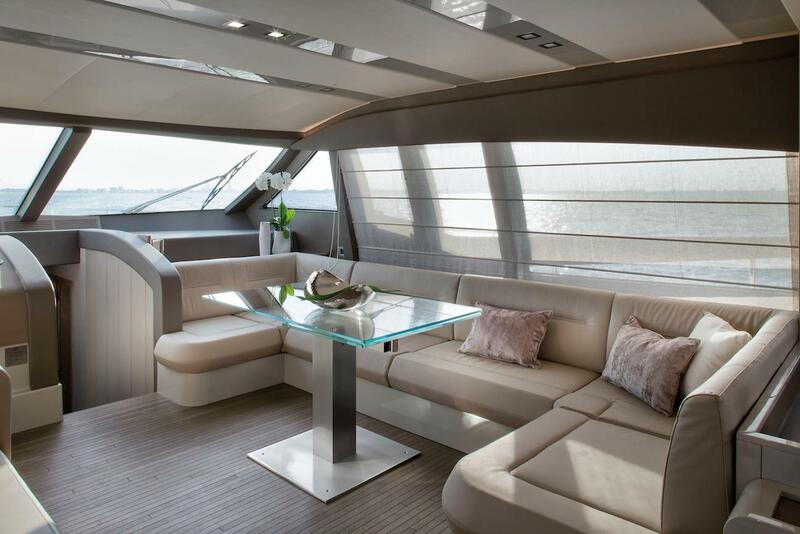 There is also a sunbathing area to fully enjoy the Mediterranean sunshine and relaxing yachting lifestyle. 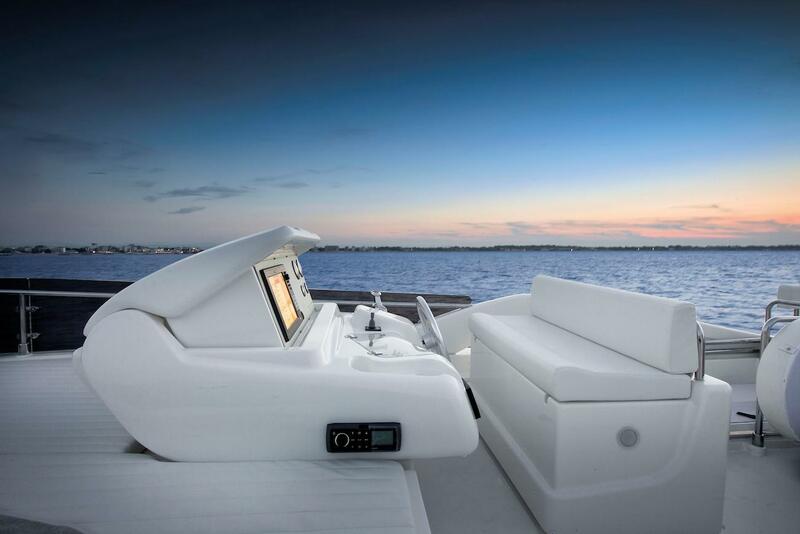 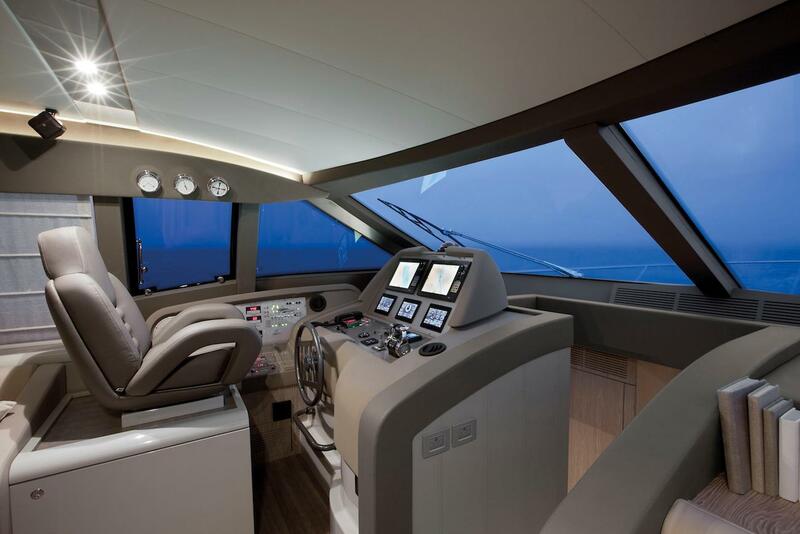 CARE ONE is powered by two Caterpillar CAT1155 engines reaching a top speed of 28 knots and can cruise at 22 knots. 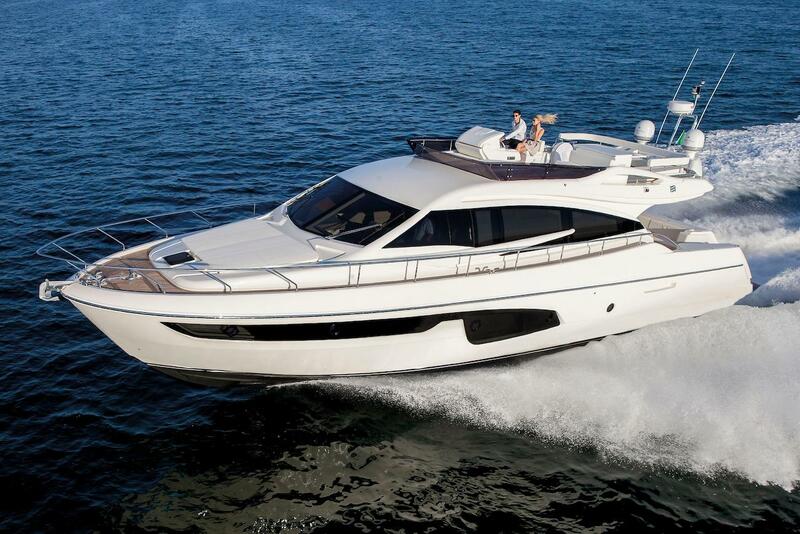 She has a fuel consumption of 300 litres per hour. 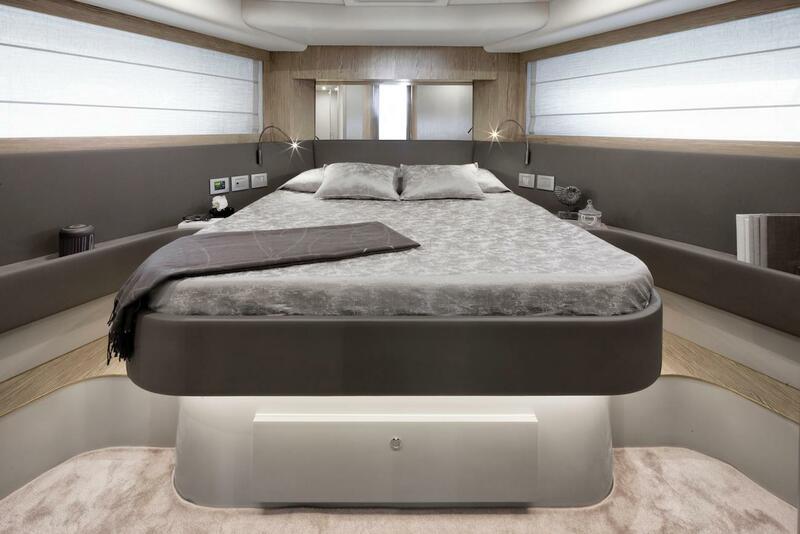 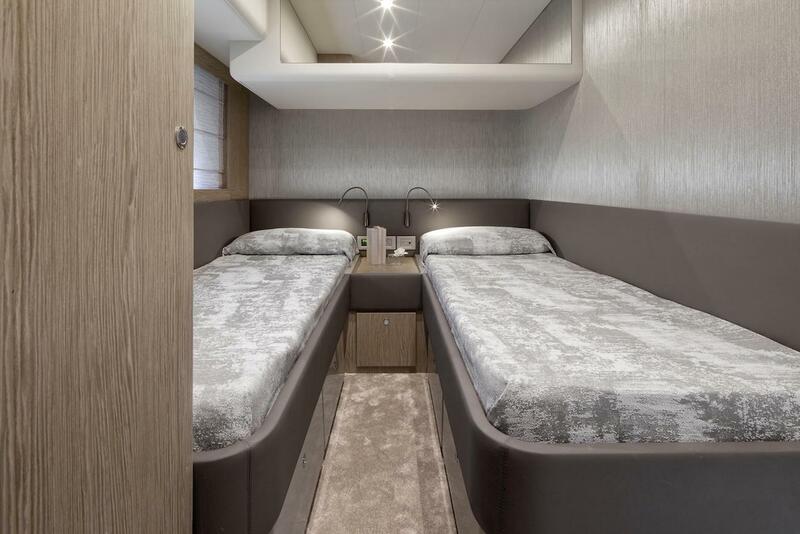 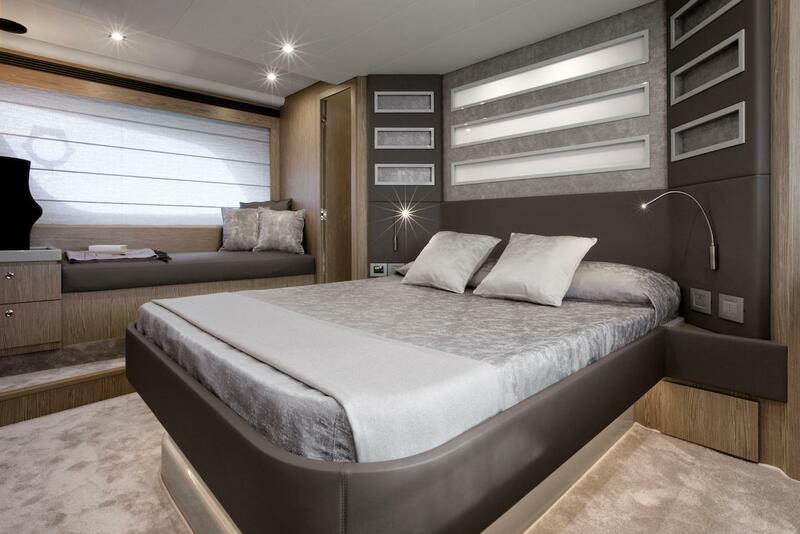 Six charter guests can be accommodated aboard CARE ONE in one VIP cabin with a double bed, one twin cabin with two single beds as well as the main master suite with a double bed. 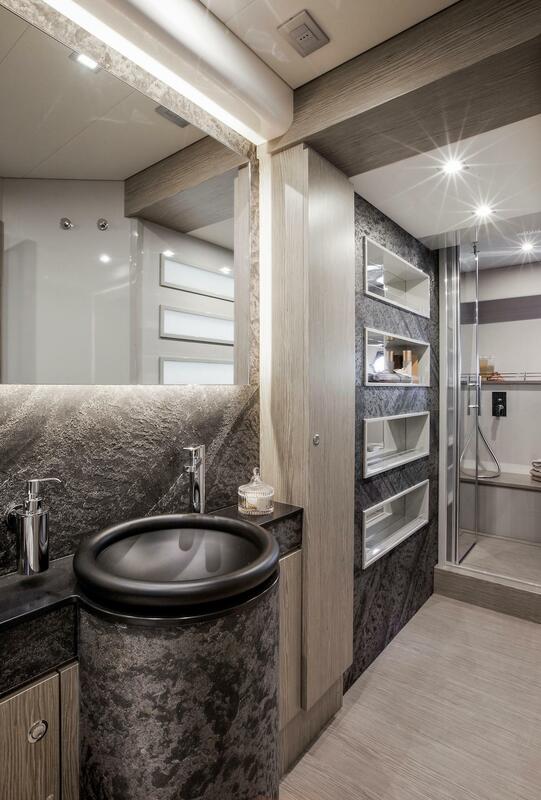 All accommodation comes with private ensuite bathroom facilities.